The default row height in Google Sheets is ideal for data that is in the default font size, and only takes up one row in the cell. 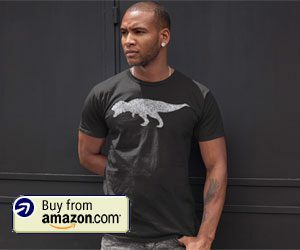 But if you have found that the current row size is either too big or too small, then you might decide that you need to adjust the size of the row to make it look better. 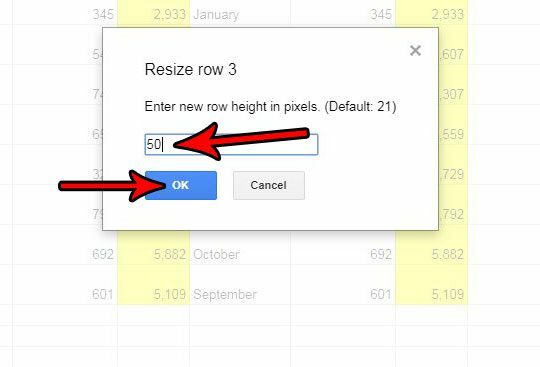 Fortunately you can change the row height in Google Sheets to make it accommodate your data needs. 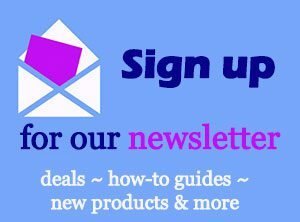 Our tutorial below will show you how to select a row and enter a new row height value for it. 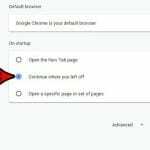 The steps in this article were performed in the desktop version of Google Chrome, but will also work in other desktop Web browsers as well. 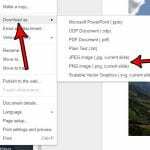 Once you have completed this guide you will have adjusted the height of a row in your Google Sheets spreadsheet to a new size that you specify. Step 1: Sign into your Google Drive account and open the Sheets file containing the row that you wish to resize. Step 2: Click the row number of the row that you wish to make bigger or smaller. 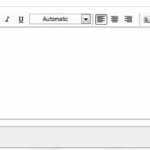 The row number is the gray rectangle at the left side of the spreadsheet. You can select multiple row numbers at once by holding down the Ctrl key on your keyboard and clicking each row number that you want to resize. Step 3: Right-click the selected row number, then choose the Resize row option. If you have selected multiple rows, then this option will say Resize selected rows instead. Step 4: Delete the current value, then enter the new row height. Once you are done, click the OK button. Note that the default row height is 21 so, for example, if you wanted to make the row twice as tall as it is now, you would enter 42. 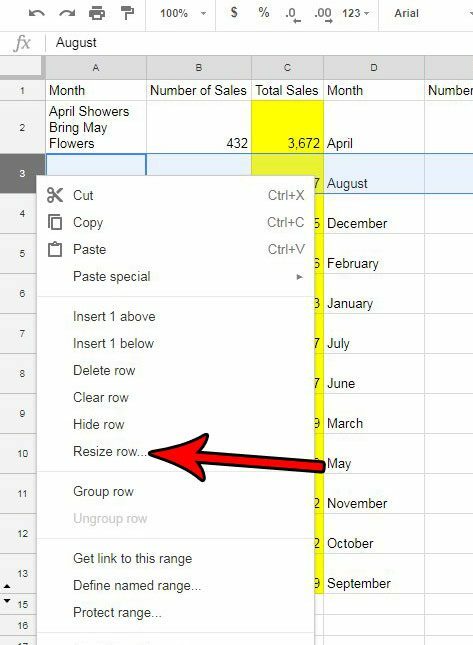 Does your Google Sheets spreadsheet have a lot of rows that you don’t need, but you want to delete them more quickly than one at a time? 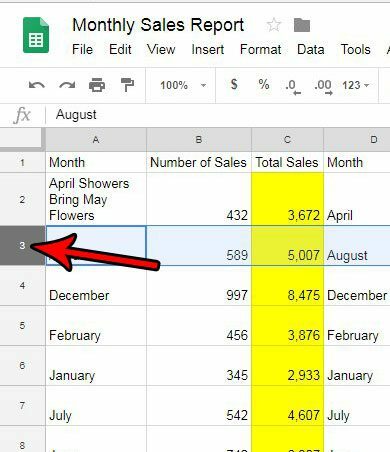 Find out how to delete multiple rows at once in Google Sheets and quickly get rid of all of your unwanted rows.